London 2012 Olympic Games - How do players qualify for the table tennis events? The 2012 Olympic Games were held in London, England from 27 July to 12 August 2012 and the table tennis events were played at the ExCeL London. The table tennis events, which comprised men's singles, women's singles, men's team event and women's team event, started on Saturday 28 July 2012 and finished on Wednesday 8 August 2012. Unfortunately, not all the best players took part. For the London 2012 Olympic Games table tennis events, there was a limit on the total number of players who could take part - 86 men and 86 women. And each National Olympic Committee (NOC) could only have a maximum of three men and three women competing (with a maximum of two men and two women in the singles events). So some of the stronger table tennis nations, like China, who had several players in the top 20 of the World Ranking list, were only able to send a maximum of three men and three women to compete in the 2012 Olympic Games. How did the players qualify? 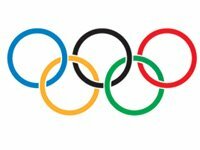 Table tennis players who compete in the Olympic Games are representing their National Olympic Committee rather than their country (for example, competitors from England, Wales, Scotland and Northern Ireland represented Great Britain), and they had to meet certain eligibility criteria before they could be considered. So let's take a look at how table tennis players qualified. But remember, each NOC could only have a maximum of three men and three women competing (with a maximum of two men and two women in the singles events). The Final World Qualification Tournament qualified more than two players where all of the Team Quota (14 places) were not required. So, when did we know who had qualified for the 2012 Olympic Games? The complicated system of qualification for the London 2012 Olympic Games table tennis events was finally over by 30 June 2012. 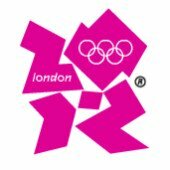 That was the date that the ITTF had to confirm the final allocation of all quota places, whilst 9 July 2012 was the deadline for the London 2012 Organising Committee to receive entry forms. So players qualified for the 2012 Olympic Games between 16 May 2011 and 30 June 2012. You can see which players qualified for the 2012 Olympic Games table tennis events here.